DJI successfully explored Yalu Zangbu Grand Canyon with ACE ONE equipped UAV systems. 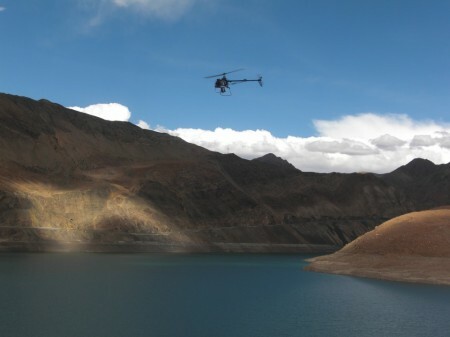 September, Year 2010, DJI and HKUST teamed up again for another challenge in Tibet area. Following last year adventure at Mount Everest, this fall it was the Yalong-Zangbo Grand Canyon we were headed, to test our latest developed product and also conduct aerial photography. The team took off from Chengdu September 20th, passing by Yan, Luding, Dardo, Zimeiya, Yajiang, Batang, Mangkam, Zogang, Baxoi, Rawu, Bome, Paggai, Lunang, and eventually arrived at Bayi in Nyingchi. The whole trip lasted 18 days, and was focused on aerial photography of Konggar Mountain, the famous Tsangpo Gorge, Lunang and Nyang River. On October 6th, the team headed back and landed in Shenzhen.